Visual Studio Code>Programming Languages>Planning Intellisense ExtensionNew to Visual Studio Code? Get it now. 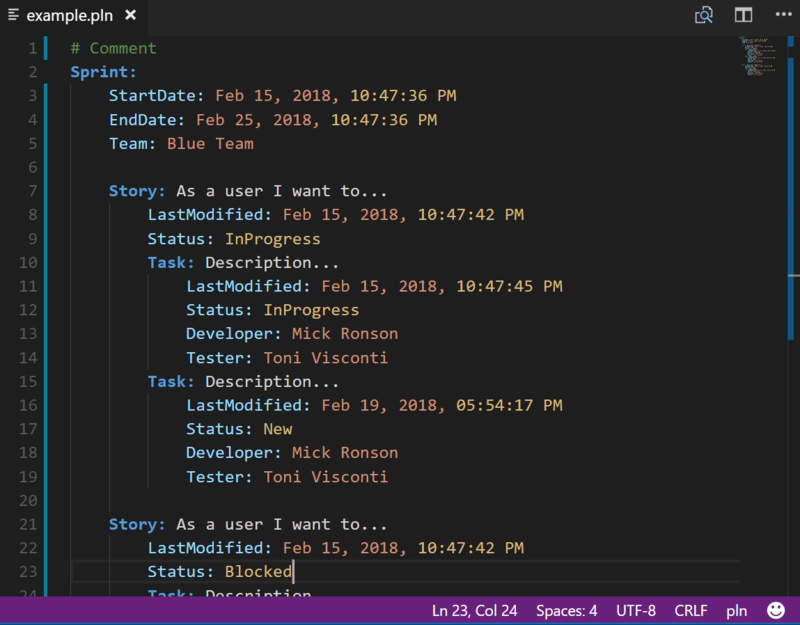 A Visual Studio Code extension to support color coding .pln text file to organize Epic, Backlog, Sprint, Story, Tasks.